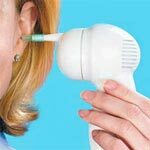 Are you looking for a safe and inexpensive ear wax removal home remedy, look no further, here we will describe what options you have to clear up excessive ear wax and bring you relief. Ear wax is a yellowish sticky substance produced by the outer ear glands and secreted into the ear canal for the purpose of lubrication and protection of delicate skin from bacteria and debris. The first step in treating a clogged ear is to know the exact reason of a blocked ear, as the treatment options will vary depending on that. Ninety percent of all earaches have to do with clogged ear either by earwax buildup or liquids due to swimming. If you experience some pain and discomfort right after your swimming session, make sure to remove as much water from your ear canal as possible by shaking your head and forcing the water out, putting 1-2 drops of alcohol will help dry the moisture.